"When Alex's mom yells, ""Come and eat!"" he turns in the other direction and tries to retreat. Young Alex will do anything to get out of eating what his mother cooks. 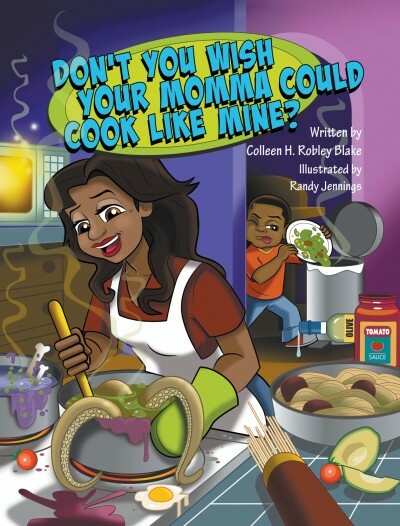 Read along and laugh as Alex eats food that doesn't agree with him just so he can spare his well-intentioned mother's feelings in Don’t You Wish Your Momma Could Cook Like Mine? Children will see Alex’s point of view as he observes his cheerful mother cooking. But why do all the others, including his brother, seem to enjoy her food? Maybe Alex can talk her into taking cooking lessons!"